Delaware Transit Corporation (DTC) is excited to announce the launch of a new mobile payment app for its Beach Bus Services, making the DART experience more user-friendly and convenient for its riders. The app will go live starting Friday, June 30, in anticipation of the busy July 4th weekend. The mobile payment option, available through Token Transit, is an easy-to-use mobile app for riders to pay their bus fare using their smartphones. The app displays a digital pass on the phone’s screen, eliminating the need for a paper pass or cash. Mobile payment is new to DART and will be tested as a pilot program on the local Beach Bus services (201-208, and 215) in the eastern part of Sussex County through mid-September. If successful, DTC plans to roll out mobile payment for its services statewide next year. "Any time we can use technology to deliver services more efficiently to Delawareans and visitors to our state is something we should celebrate," said Governor John Carney. "I look forward to seeing the results of this pilot and hope we can apply this service statewide in the near future." “I’m excited about this pilot as it makes using public transit even easier. It’s a great example of our focus on using innovation to improve customer service,” said Secretary of Transportation Jennifer Cohan. The process is simple. 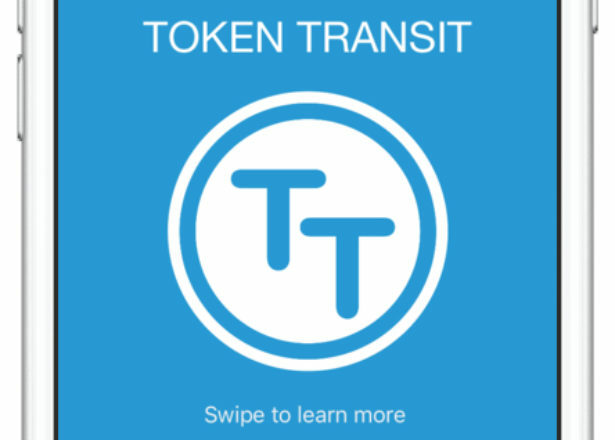 First, get the Token Transit app available for Apple & Android smart phones and tablets, and can be downloaded for free at the Apple and Google Play stores, or just text “TOKEN” to 41411 for a download link. Once your account is set up with a credit or debit card, select the fare type that you’d like to purchase, from a single ride to a 30-Day pass. When ready to ride, tap your pass to activate, and show the Driver your digital ticket and off you go. The passes vary in color and image by day and show the time down to the second with movement. The Beach Bus services operate daily from approximately 7 AM to 2 AM on seven routes serving the NEW Lewes Park & Ride, Rehoboth Beach and the Boardwalk, Lewes, Long Neck, Dewey Beach, Bethany Beach, South Bethany Beach, Fenwick Island, and Ocean City, MD. All buses are air-conditioned, ADA accessible and equipped with bike racks. The fares are $2 per trip and $ .80 for Reduced Fare; a Daily Pass is $4.20; and new this year are the 7-Day Pass for just $18 and a 30-Day Pass for $65, all of which are available for purchase on the Token Transit app.